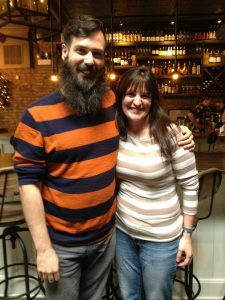 Today’s guest post comes from Enzo Fiorello, a dear friend of mine since we were high school freshmen, and a professional pizza aficionado. His YouTube Channel is called Son of A Pizza Man. Enzo is in the fact the Son of a Pizza Man. 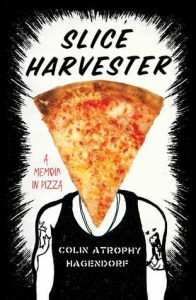 He grew up eating a lot of his dad’s pizza and eventually helped him run a pizzeria. 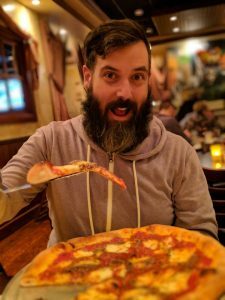 Years later, Enzo found a renewed passion for pizza through his YouTube channel, which is part homage to his dad and part excuse to eat LOTS of pizza. Enzo has called Chicago home for over a decade now and has a “real job” in graphic design. I am the first to admit that I don’t read enough as I should. I’m a very visual person and moving pictures get me, you know?! 🙂 I do have room for pizza related books though! Here are a few of my favorites! I love a good memoir. Make it about eating pizza and I’m sold! It’s such a fascinating story. This guy decided to eat a slice from every single pizzeria in Manhattan and document it. It took him about 2 years to do this. It’s a great read and I highly recommend it. Technically a cookbook, this is one of my favorites! Joe opened up a small pizza shop in Philadelphia called “Pizzeria Beddia” where people would line up around the block in hopes of being able to purchase one of the 40 pizzas he would make for the day. The recipes in the book include his basic pizza dough, sauces, topping suggestions and even sub recipes! His pizza dough recipe is by far one of my favorite and I highly recommend this cookbook. As far as coffee table books go, this one is one of my favorites. 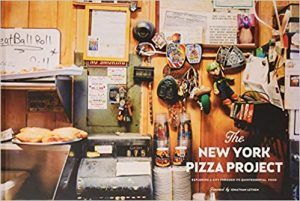 It documents authentic pizzerias in the New York City area through beautiful photographs and interviews. I love this book because of it’s sheer size and subject matter of course. It’s also just a great book to flip through because of all the photographs. It’s divided into 4 sections, “The Makers”, “The Eaters”, “The Shop” and “The Block” so it’s easy to digest as well. This would make a great gift for the pizza lover in your life! By far my favorite pizza book in my collection! 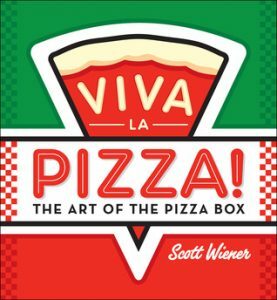 Not only is it written by my favorite pizza person, Scott Wiener, but it’s a book that combines pizza and design! How awesome is that?! Scott holds the Guiness World Record for the largest pizza box collection so he decided to put a book out to celebrate it. You would never think that there are so many different types of pizza box art out there! 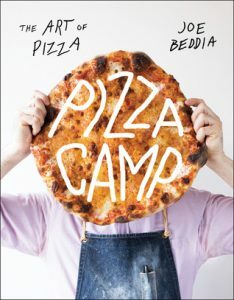 The book features a ton of pizza box designs and as a graphic designer and pizza lover, this book really hits the spot! There you go: A few of my favorite pizza books! If you want to know more about me and my passion for pizza, you can find me on Facebook and Instragram as Son of A Pizza Man, and on YouTube at YouTube.com/SonofaPizzaMan. Must be something in the air. Yesterday, the Washington Post ran a feature- the 5 myths about pizza. Great article! Will definitely add these to my reading list. Thank you, Roy, and Enzo!! Really unique post and well-written. I loved it, and would have never thought about so many pizza containers. Sorry, I meant to address my previous comment to RAMONA and Enzo! Beautiful topic! I don’t like to cook but I love to eat and I think I’m going to subscribe to his youtube channel because I love pizza too! Yum!!!! 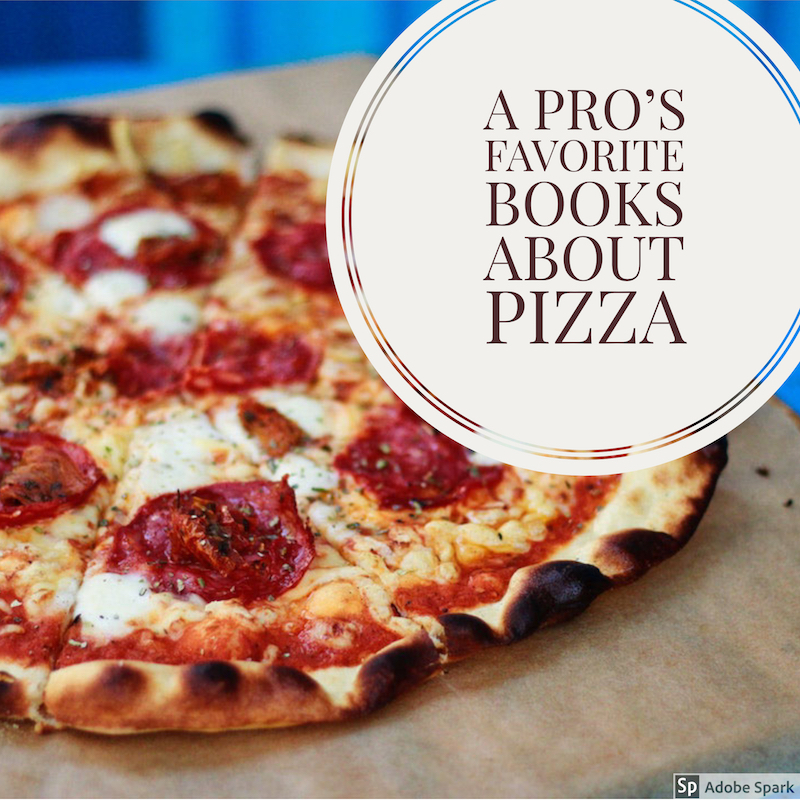 I can’t wait to check out some of these books as my son and husband love Pizza and would eat it each and every day if possible. So through the books and bribing them with Pizza, I might be able to get both of them to sit down and read a book. Although I am not holding my breath on that happening. I love pizza and have plenty of books on pizza. I just don’t have the energy to make mine. I guess we’re all made different. Happy for Enzo who’s living his dream with pizza!